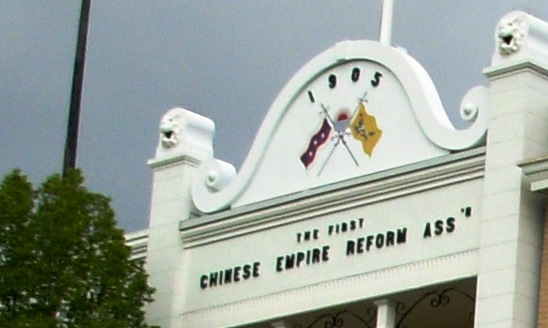 The Chinese Empire Reform Association, a conservative, monarchist body that wanted to preserve the Qing Dynasty, by emulating the changes wrought by the Meiji Restoration in Japan, was founded by Kang Yu Wei (1858-1927) who had fled the wrath of the Cixi, the Empress Dowager, and the reactionaries that surrounded her, to exile in Victoria, BC, Canada. 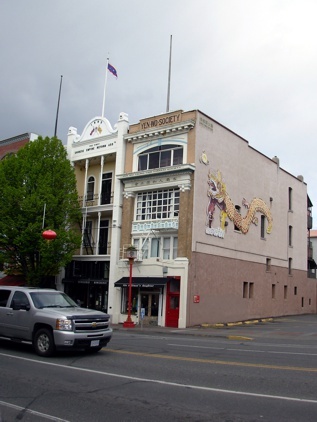 Their headquarters building has been restored and flies the CERA flag, which is also depicted along with the Dragon flag of the Chinese Empire on the pediment of the building. 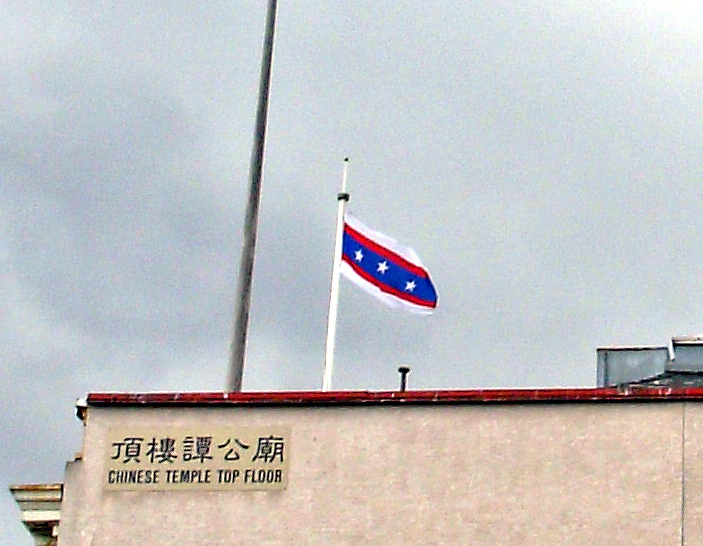 The CERA had branches among other overseas Chinese communities, but I do not know if the flag was used outside Canada. The Chinese Empire Reform Association (保皇會 in Traditional Chinese) would better be described as a Constitutional Monarchist body; in the context of the early 1900s it would not be considered conservative. Their flag was definitely used outside Canada, as seen on the Charter of the Los Angeles chapter.